At Murphy's fisrt show he took baby puppy in Group so he started his show career with a bang. He was titled to his Australian Championship at 10months of age but due to being under 12months he then gainned his further 25 points to make him a Australian Champion. Murphy has had may Best In Group and classes in Show awards. 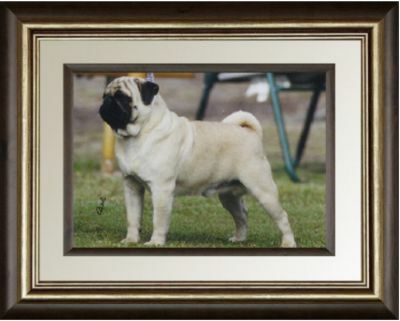 He was our first boy out of our NZ Import Aust Grand CH & NZ CH Glomar Rockabilly Rebel. Also from this litter his two sisters were titled at 12 months of age. Billy has made a great impact on our pugs at Troycole.